Speaking at the grand event newly appointed convener of Indo American Relations at Marwah studios Om Gupta expressed that Sandeep Marwah deserves all awards for promoting Indo US relations through Films, TV and Media, his appointment as Chairperson of Entertainment Committee at Indo American Chamber of Commerce is just a gesture towards his efforts for this cause. Marwah invited the biggest glamorous title holder Miss Universe 2010 to Marwah Studios, Raj Pillai a medical doctor from New York, Raj Singh and Neena hotelier from New Jersy, David Bloss senior Journalist for workshop, Terry Mcluhan daughter of Marshall Macluhan had premier of her documentary Frontier Gandhi at Marwah Studios. Marwah was the only representative from Noida on the visit of President Bill Cliton at New Delhi added R.K.Singh Joint Director ASMS. Sandeep invited Hollywood Actor Michel J Fox, Jean Marie Lomour, shared honour and interaction at Cairo with Hollywood Stars Salma Hayek, Samuel Jackson and Luci Lui, he has been a speaker at Indo American Economic Summit 2009, 2010 and 2011, signed joint venture of film with American Company for feature film, educated and trained students from USA in his renowned film school Asian Academy of Film And TV, invited delegates and films at International Festival of Cellphone Cinema and Global Film Festivals promoted by him in India etc .informed Om Gupta. 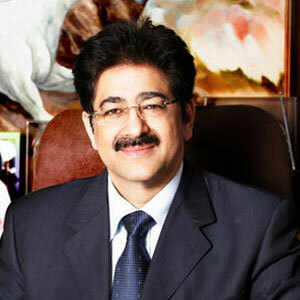 Marwahâ€™s International Film And Television Club and International Film And Television Research Centre have lots of personalities as member, The director of Marwah Studios Anil Kapoor has been now working in Hollywood films after completing most popular TV series 24. The appreciation has been coming from all the corners of the World for Marwahâ€™s extra ordinary works for Indo US relations.